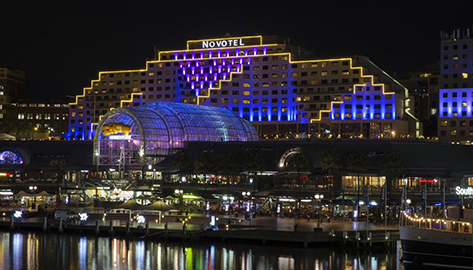 Harbourside is an iconic food and entertainment centre, located on the western side of Darling Harbour in Sydney. Harbourside, in the heart of the entertainment and tourism precinct in Sydney, has several major hotels and destinational attractions in the immediate vicinity including The Star, Madame Tussauds, Sealife Aquarium, Sofitel Darling Harbour, Cockle Bay Wharf, the National Maritime Museum and the newly renovated International Convention Centre Sydney (ICC). The centre is served by the Sydney Light Rail Network, with Pyrmont Bay and Convention light rail stations situated north and west of the centre. It’s also very easily accessible from the Sydney CBD by foot via the Pyrmont Bridge and the pedestrian walkway through the Cockle Bay Wharf precinct. The centre can also be visited over water with the Pyrmont Bay Wharf to the north, and the Convention Wharf directly in front of the centre to the east – this is mostly used by the Shopper Hopper Ferry to transports visitors to and from Birkenhead Point Shopping Outlet. 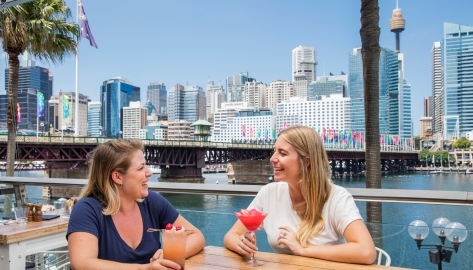 With the buzz of Darling Harbour, the stunning city skyline views and a choice of 25 waterfront cafes, bars and restaurants open late every night, Harbourside is a great place to visit to celebrate the best of what Sydney has to offer! Located on the waters edge of Darling Harbour, Harbourside is only a quick walk, bus, train, light-rail or cab ride from Sydney’s CBD. 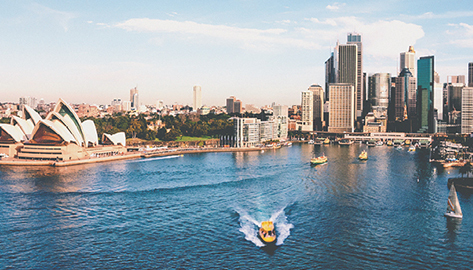 Darling Harbour is one of the Sydney CBD's buzz places comprising of cafes, restaurants, shops with a food court, aquarium, maritime museum, Chinese gardens and entertainment attractions! Stay in the heart of Darling Harbour, with a selection of waterfront restaurants, bars, harbour views and attractions at your doorstep.